testimony has been given a considerable quantity of recent exposure. One aspect of the incident which has been insufficiently explored is that of the staff who worked at the school. Other than science teacher Andrew Greenwood, we have heard very little, either then or now, from the teachers who were there on the day, and caught up in the unusual saga. Recently, I have had an opportunity to exchange communications with a former English and Mathematics teacher who was staffed at Westall High School. 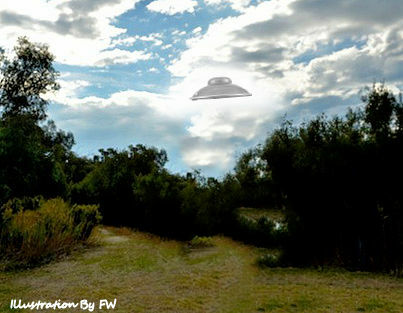 A now successful author, Hazel Moir, now Hazel Edwards OAM, offers opinions which are quite different than the general version of high-UFOlogical narrative found elsewhere. Simply put, most (but certainly not all) of what I have personally read about Westall has been reactionary, or, has been presented in tabloid magazines, rushed newspaper articles, short soundbites and so-forth. In conversing with Hazel, I not only got to hear from a teacher, but got to formulate my own questions. In the interests of thoroughness, transparency and studying what happened that fateful April day, I present the content of my discussions with that Hazel. What I discovered was most unexpected. “During the class time that afternoon, the students were hyped up, but few actually reported real evidence of seeing anything. It was gossip built on hearsay. It was the girl student who called the TV news which set a media frenzy in place. Mr Samblebee the principal tried to quieten things down but he wasn’t trying to ‘cover up’ anything, just keep control in a fairly challenging school. Lots of inexperienced staff like me in our first year of teaching. The 19/20 year-old Science teacher Andrew was interviewed by media and really liked the experience, so stories grew. Because he was the science teacher, more attention was paid. In later follow ups of the story, I always stated the story was being exaggerated, but my comments were always edited because many felt that the UFO story gave them a connection to media fame. They wanted to be part of a story. Two other teachers Roger Adams and Vivienne Clarke agreed with me. A journalist asked me, ‘What did you do after this momentous event?’ I said I left at 4pm to go to my Monash Uni lecture on politics on the Clayton Campus as I was studying as well as working fulltime. He asked why I didn’t stay after school when such a momentous event had occurred. I replied that, ‘It didn’t’. The flattened grass was part of the area where teenage students messed around between school and the migrant camp. The journalist from the Dandenong Journal agreed that he had reported what students and staff said, but he was cynical about ‘ the little green men’ which was the level the story reached very quickly. I did attend a reunion of Westall High decades later, to which I was invited, and several were being interviewed about the UFO on that afternoon. I thoroughly enjoyed my time teaching at Westall and put a lot of effort into my students. I was pleased to see how well some had done. But I was also intrigued by a few of those now adults who wanted the UFO story to be fact because it gave them kudos. “Doco maker Shane ? (sorry forgotten his surname) very charming and polite man. Canberra based now. “At the Westall High School reunion, there were several journalists but the major involved one was the ex-Dandenong Journal reporter because he’d been on the spot on the day. He was quite skeptical and regarded it as a news gathering assignment not a fact finding mission. He said his job on the original story was to collect quotes as it became a front page suburban story. From here, my interviews with Hazel Edwards OAM continue. Obviously, there are more questions to ask, more facts to yield. I am leaving others to decide what to make of this bevy of new information. I have made it a priority to have Hazel's statements published, here and now, for the purpose of demonstrating that written testimony from persons involved in a UFO case can be more valuable than anything else, and to encourage researchers to publish, with some haste, their research work. Finally, I am perusing now five other staff members, or at least their families, regarding the case. “Dear list members, Another Westall High School teacher, Ms Hazel Moir (now Edwards), has told me she remembers one of her students, named Cheryl, talking to the TV news crew that day, in a very excited way. I wonder if anyone else has a memory of a student called Cheryl, talking to Channel Nine? Hazel’s take on the story is that it was an insignificant thing that has snowballed over the years! I wonder? She remembers the commotion, teachers going to look and seeing nothing, and nothing more being thought of it by the staff.